The film stars Leonardo DiCaprio as a professional thief who steals information by infiltrating the subconscious, and is offered a chance to have his criminal history erased as payment for the implantation of another person’s idea into a target’s subconscious. 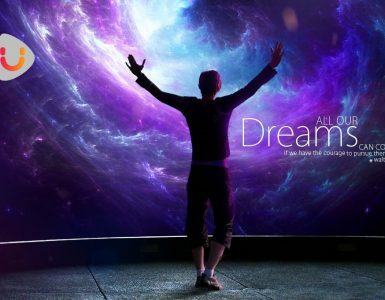 Mostly the movie idea is based on Lucid Dreaming concepts. So first of all we need to understand what is lucid dreaming, then we will further proceed with explaining A dream within a dream in detail. A lucid dream is a dreaming state in which the dreamer is self aware that they are dreaming. During this, the dreamer may be able to have some control over the dream characters, narrative and environment. In 2016, a meta-analytic study by David Saunders and colleagues  on 34 lucid dreaming studies, taken from a period of 50 years, demonstrated that 55% of a pooled sample of 24,282 people claimed to have experienced lucid dreams at least once or more in their lifetime. Furthermore, for those that stated they did experience lucid dreams, approximately 23% reported to experience them on a regular basis, as often as once a month or more. 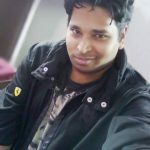 So coming back to our A dream within a dream concept and how it is related to lucid dreaming, we can say that A dream within a dream is the extension of Lucid Dreaming. As you get to know that in lucid dream the dreamer may have some control over characters, narrative and environment, so they can actually do the regular daily activities which includes sleeping, dreaming too. So it all depends on the dreamer’s choices as well as the narrative. When you dream, it depends upon lots of your characteristics like your emotional state, relationship, wish fulfillment, etc. 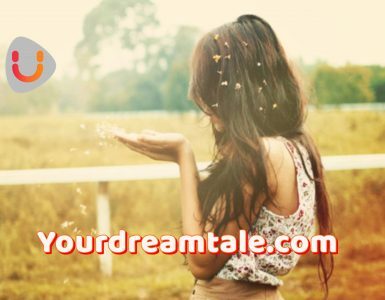 So in dream you are placed in a particular situation depending upon stories, imagination or future plans you have. 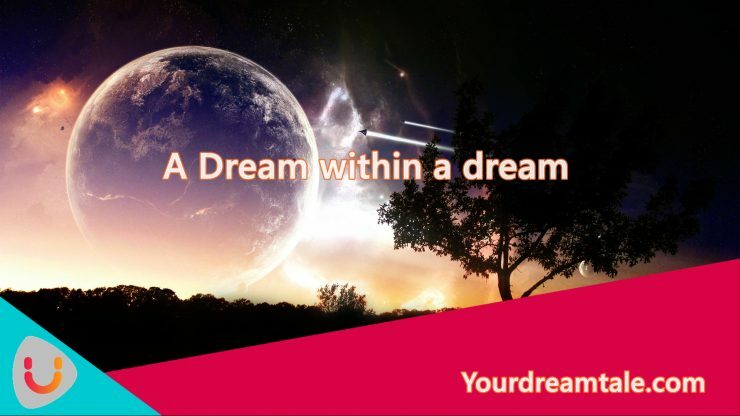 So inside dream of your dream you get to know about yourself better like how you would react to a particular situation, how you may handle a particular problem and find its solution. If you can master this skill, you can even control the situation about what you want to dream and enter that environment, play your role, learn from it and then implement in real life, improve individual skill-sets. As you know sometimes we dream about nightmares too. In that case you really don’t want to be get stuck in a dream within a dream because you simply can’t wake from the dream within the dream in real quick. You would think you are in reality but still you might be within dream. A study of college students found that lucid dreams were seven times more likely to make nightmares more tolerable. And, if participants realized they were dreaming during a nightmare, they felt comforted about 60 percent of the time, which could go a long way when you face death in your dreams. If you regularly dive into a dream within a dream, then you may feel restlessness, exhausted and tired. So you should not be doing it all the time just for fun. I really enjoy it whenever this happens with me. At starting it was too difficult for me to understand what was really happening and didn’t even know anything about it until the movie Inception which made me realise about this concept. Then tried to read more details about it and found its all true facts and many research being made on lucid dreams. Tell me about your dreams, have you ever experienced like this in your life. Disclaimer: The opinions expressed in this article are the author’s own and author is not a doctor, medical professional, health professional. Consult with a professional before taking any sort of action.